A new type of concrete has been created by Spanish researchers for buildings in Mediterranean-like climates that encourages the natural, rapid growth of pigmented organisms within the concrete. It can be used as a facade that offers advantages such as reducing atmospheric CO2 and natural thermal comfort. The concrete works great as a support for the growth and development of certain kinds of biological organisms such as microalgae, mosses, lichens, and fungi. The goal is to set it up so that the surface is covered in less than a year, and that the appearance will evolve over time, changing color according to the time of year and the dominating organisms. The structure is made of 3 layers: a waterproofing layer, a biological layer that accumulates water, and a “discontinuous coating layer” with a reverse waterproof function. The final product absorbs CO2, provides a natural source of insulation, and captures solar heat. 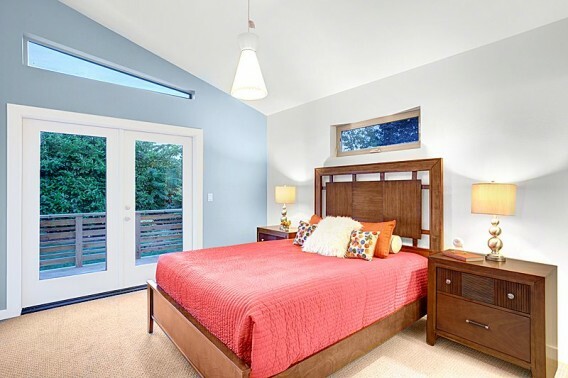 Here’s a cool renovation project recently featured on NBC’s Today Show in the sub-$250,000 spotlight. Originally built in the 1950s, the home was redesigned by The Ranch Mine, one of the firms behind the NAHB’s Green Remodel of the Year last year, and is located historic North Encanto area in central Phoenix. 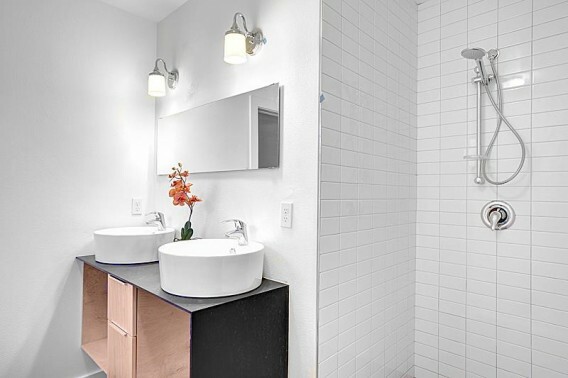 The exterior has bold, yellow accents mixed with a low-maintenance and low-water desert landscape, and the interior is finished with existing saltillo tile, contemporary white and grey paint, and an open layout. [+] More photos of the “Revival” renovation by The Ranch Mine. Santa Monica-based LivingHomes just announced the launch of three new designs — the CK4, CK5, and CK7 — based on the affordable C6 (also featured here), which made headline news earlier this year. CK Series designs are available for the price of $145 per square foot, not including installation or foundation, which is quite reasonable considering what’s available: a LEED Platinum level environmental program, high-quality modular build, and modern design inspired by Ray Kappe, FAIA. All CK4, CK5, and CK7 homes will be built by Cavco and available in most states. 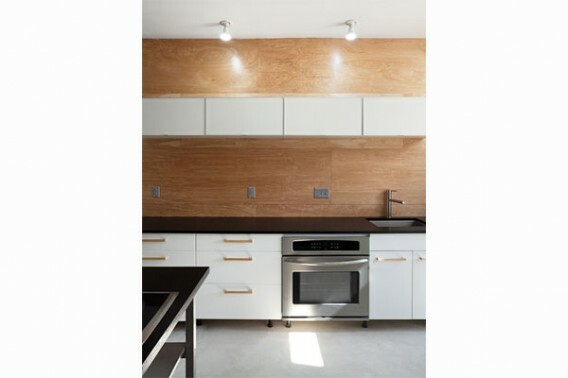 The build takes about two months, and the installation can be done in a day, according to materials from LivingHomes. The prefab homes will achieve most of the company’s Z6 Environmental Goals of Zero Energy, Zero Water, Zero Emissions, Zero Carbon, Zero Waste, and Zero Ignorance with things like: energy-efficient lighting and appliances, low-flow water fixtures, floor-to-ceiling glass, clerestory windows, light tubes, transom windows, sliding glass doors, cork floors, a wood ceiling, formaldehyde-free millwork, wood siding, real-time energy feedback, etc. CK Series homes are available in several floor plans. Generally, they range in size from 1,300 to 2,200 square feet and carry a price that starts from $200,000 – $320,000, depending on the model. 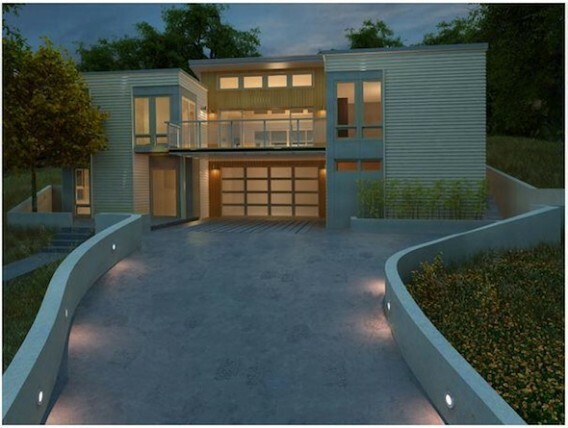 The first CK home has been sold and will be installed next year on a property in Bell Canyon, California. It’s a CK7 model with two stories, three bedrooms, 2.5 bathrooms, and about 2,200 square feet. [+] More about the new, low-cost CK Series by LivingHomes. The media relations group for Oak Ridge National Laboratory just released more information about recent field tests by ORNL of a new roof and attic system that keeps homes cool in the summer and prevents heat loss in the winter. The system is explained in the graphic embedded above (click to expand). In addition, I’ve included some graphics below to illustrate more of what the system looks like and how it saves energy. The system employs a passive ventilation strategy that is expected to cost about $2,000 for a retrofit situation with savings of roughly $100 per year, yielding a payback of about 20 years. Foil covered polystyrene insulation (with the ventilation gap) is installed over and between rafters for new construction or on top of an existing shingle system in a retrofit. With the new roof assembly, air moves from the underbelly of the attic into an inclined air space above the roof, according to an ORNL statement, so that “heat that would have gone into the house is carried up and out,” said Bill Miller of ORNL’s Building Envelope Group. In the summer, the temperature of the attic is reduced as a result of the roof detailing and, according to observations by ORNL, the thermal load of the home is thereby reduced. Further, ORNL found improved efficiencies even if the attic floor is insufficiently insulated. The research and findings are discussed in more detail in a paper, “Prototype Roof Deck Designed to Self-Regulate Deck Temperature and Reduce Heat Transfer,” published by the National Roofing Contractors Association. A PowerPoint of the background research can be found here [PDF]. [+] More about this roof-attic system tested by Oak Ridge National Laboratory. 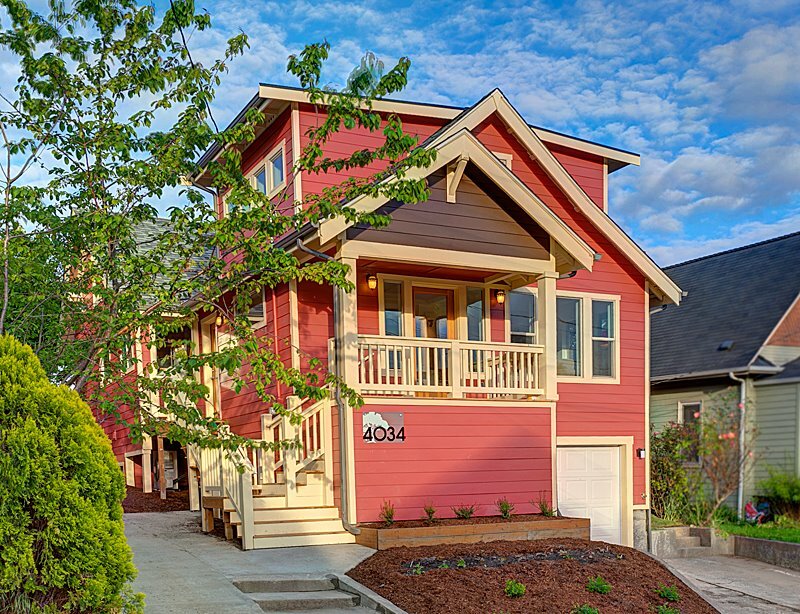 This is a green home in the Wallingford neighborhood of Seattle and another energy-efficient renovation by Green Canopy Homes. The company — which also renovated The Sentinel — is targeting Built Green 3 Star certification with help of comprehensive air sealing, extra foam and rigid insulation, Energy Star windows, a home electricity monitor, heat-pump water heater, Energy Star ductless heat pump, and CFL lighting. The preliminary Energy Performance Score had the 1924-built Keaton (GCH’s name for the home) using ~43,000 kWh per year in energy. Final EPS came in at ~11,000 kWh per year in energy, indicating a marked improvement in the energy performance of the home. 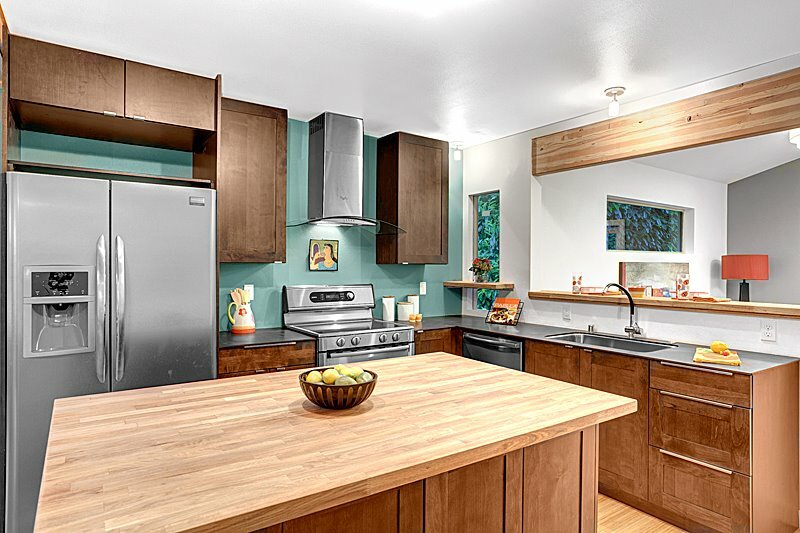 Green Canopy Homes estimates that improvements could result in a savings of about $2,240 per year, according to a Buyer Benefit Package prepared for Keaton. Beyond efficiency, one interesting thing about Green Canopy Homes is they try to take as much input from the community as possible. For example, the exterior color — Segovia Red — was selected ahead of Gold Leaf (yellow), Greystone (gray), and Castle Walls (green) through a community campaign. 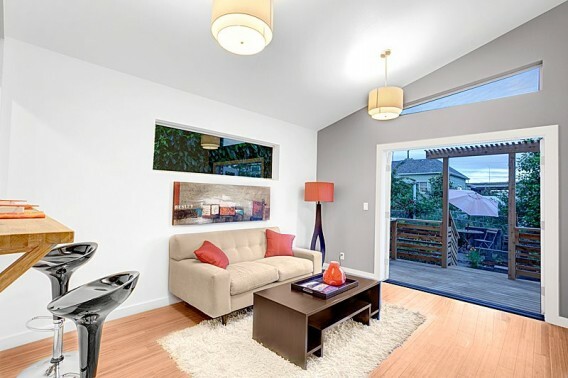 Keaton is located at 4034 Latona Avenue NE, Seattle, Washington, and is currently listed for sale with John L. Stott, Inc., for the price of $749,950. It has 3,126 square feet, three bedrooms, and 2.25 bathrooms. [+] More about the Keaton by Green Canopy Homes. I caught up with Brian Phillips, principal of Interface Studio Architects, in Miami recently while he was down as a visiting critic at the University of Miami School of Architecture. 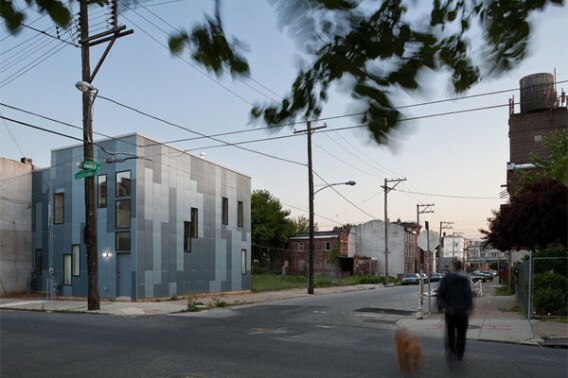 Based in Philadelphia, ISA is a prominent architecture and research firm on the leading edge of green building and pre-fab construction with notable projects such as the 100k House and The Modules, featured on Jetson Green a few years ago. Here is our discussion on the work of ISA and direction of the green building industry. Q. What is ISA’s design philosophy? Innovating the everyday. We look hard at all the parameters of a project, even the mundane details and most challenging constraints, as engines for creative and innovative solutions. By beginning without stylistic tendencies, asking different questions at the outset, details such as budget or programmatic relationship can become important design elements which are in turn amplified to something interesting. Q. Why is sustainability important for the firm’s work? 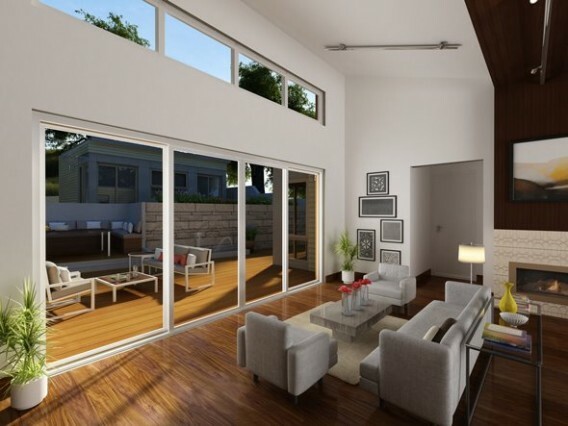 We believe that energy efficiency is implicit to making good architecture. Sustainability on the other hand, is more complex than strictly saving energy. We consider the social, economic, and urban contexts of projects to create resilient, intelligent systems within which buildings participate. Q. The 100k house is one of your most notable projects, how did the idea come about? A young developer (postgreen) was looking at the typical townhome development pattern and asked why develop projects my friends can’t afford? 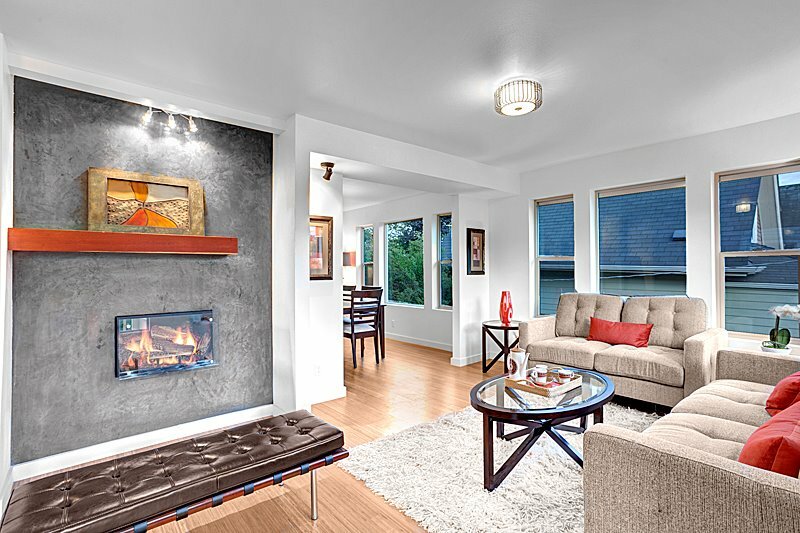 So we began looking at what the starter home for a 30-something, Gen Y target would be. For these sophisticated and green-minded consumers on a budget, the 100k house fills that market perfectly. Q. What was the key to affordability? 1,000 SF at $100/SF, while achieving LEED Platinum standards, was the formula we used to inspire design possibilities. Conceiving of a project that meets those metrics was our design challenge and it asked us to work more like industrial designers rather than architects. If we didn’t have to do it, we didn’t. We stuck to a simple, elemental, urban approach that resulted in exposed concrete floors and surface mounted CFL light bulbs, for instance. The green building approach emphasized the quality of the envelope including insulation, windows, and air sealing. Q. Have you tracked the performance of the home? We’ve received feedback from the owner that their utility bills are roughly $1,000 a year, which is significantly lower than the comparable home in the area. The HERS score was near 50 on the original homes, but we have since lowered that to near 20 on more recent iterations. On future projects our goal is to incorporate more feedback channels for the occupant to allow them to take charge or their water and energy consumption in a real time scenario. Q. What were some of the lessons learned? Keep it simple and focus on the envelope. The envelope is the best way to embed long-term value in a house and isn’t subject to mechanical failure or user choices. This allows the mechanical systems to be simplified and be more affordable. Q. How have your designs evolved since the 100k house and been able to inform your current work? The 100k house sits in the middle of the timeline for our firm, but serves as the clearest thesis statement. We received a 2011 Pew Fellowship in the Arts allowing us to focus more on experimentation, research, and design competitions. We are beginning to expand geographically while also scaling up the ‘100k thesis’ on bigger projects in Philly. Recent assignments include Net Zero housing in Boston (through the Mayor’s E+ Housing initiative) and a theoretical project for what a 100k house might be for Detroit. Q. 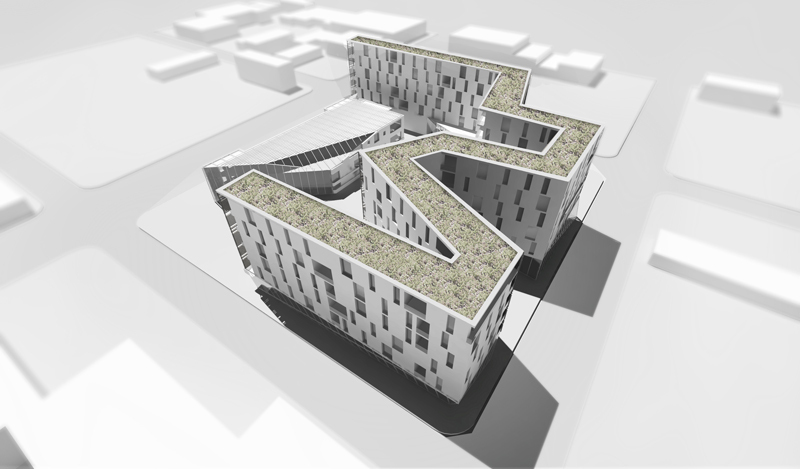 What are the top three priorities a team should focus on with a green building project? 1) Saving energy and money for the user is always number one. This means providing a high performance envelope. 2) Every project is different in its requirements and therefore requires a unique approach to sustainability. Maybe a project is net zero water instead of energy, because of site location or other factors. Fully exploiting available opportunities and thinking about the bigger context of a project is important. It can be unsustainable to insist that every project, regardless of location, program, or budget, achieve net zero energy, for example. Q. 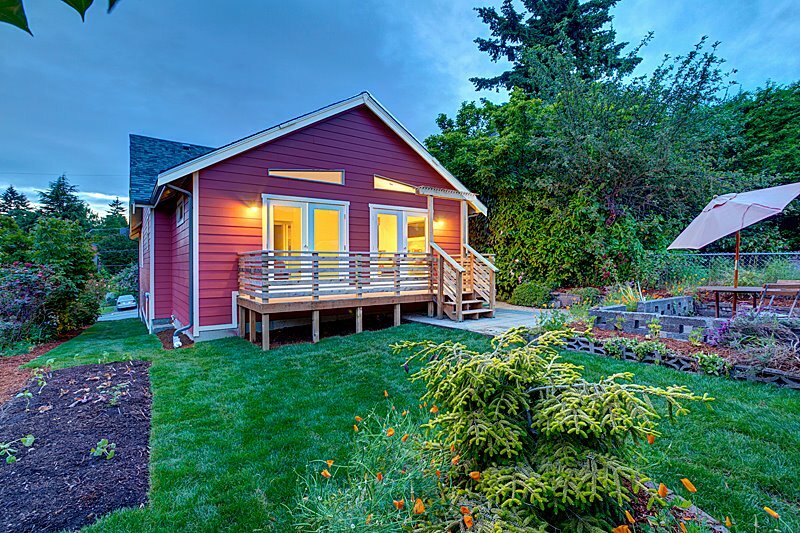 Do you prefer to work with LEED or Passivhaus standards? It all depends on the building. For residential, Passivhaus is a great philosophy; save energy, save money, focus on the envelope. It allows the project to stay very true to its core mission. In a commercial setting, where projects are more complicated, something like LEED is more applicable because it allows for a more balanced and diverse approach. I think that zoning codes could begin to play more of a role in the process. How can we find more synergies which promote sustainability within urbanism? For instance, could mixed use development be an energy strategy? Q. Where do you see green building going in next 5-10 years? I believe green building and high performance construction will continue to be ramped up through local regulations and building codes. The question that will remain is what does sustainability mean? Is it jobs, walkable neighborhoods, quality of life, healthy lifestyle? The conversation will get less technical and lean more toward aesthetic, economic, and social issues. Photos courtesy: Interface Studio Architects. 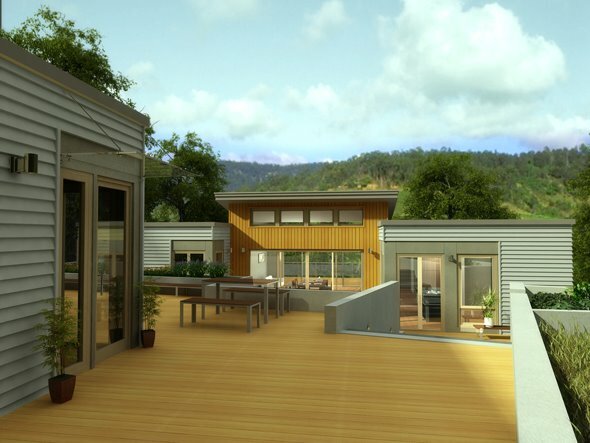 Last year Sunset Magazine chose a container home as the Idea House, but this year prefab is taking over with an energy-efficient Breezehouse from Blu Homes. The home will be built in Blu’s Vallejo factory on the West Coast and can be seen at a “Factory Preview” on Saturday, April 21, 2012, from 1-3 pm (RSVP here). After that, it’ll be shipped to Healdsburg, California, and open for tours in August 2012. We’ll try to follow up with more detail when the home is complete. [+] See renderings of the 2012 Sunset Breezehouse on Facebook. GE Makes Major Investments in Solar Power! GE is jumping into to the solar power game in a major way. The energy giant has recently invested a staggering $600 million into the solar side of its business. This money will go towards building a massive ‘thin film’ solar panel manufacturing plant based out of Aurora, Colorado. The facility will have the ability to produce enough panels each year to power 80,000 homes. Just like GE’s big march into the wind energy market earlier this year their participation in the solar market will create jobs – approximately 355 in Colorado to be exact plus others throughout the country – and the boost in competition will bring down solar prices across the board. Solar prices have already been on a steady decline as new less expensive ways are found to create solar panels, with added competition this will only help matters. The market leader in thin film solar, against which GE’s involvement will be measured, is First Solar. However, there are many other thin film solar companies that will be forced to compete with the energy giant as well – such as Abound Solar. GE has stated that the plant will be finished in early 2012, with the first panels being made very shortly after it is opened. These panels will begin to come available in quarter one 2013, once a sufficient supply has been built up to meet the potential demand of the market. GE has also stated that it plans to beat the competition through making their panels both larger and lighter. By doing this they will be able to continue to be competitive in utility-scale projects, but they will also be able to break into the commercial solar market. GE also points to their ability to develop technologies faster and more efficiently due to their investments in research on a much broader scale than solar only firms – they have already shown this by implementing advancements in the medical field into the creation of their panels. A major company’s involvement in the solar market will lead to a continued effort to constantly lower solar prices by all parties involved. With prices already dropping this can be taken as a sign of solar power’s continued sustainability. Originally posted here: GE Makes Major Investments in Solar Power! Would you like to contribute to this site? efficient shingles to use on your home. Are 3-Tab Roofing Shingles For You? the job on yourself, choose a warm, dry day. shingle into place and secure it with nails. roof, call a professional roofing contractor.